Moderation is willing to give temporary leadership to Farsun to sort out new leadership for the organization. Request for Hutori Socialists to be granted Leadership of the Progressives of Makon. 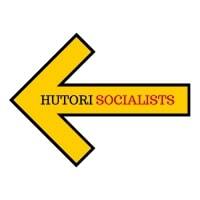 Vote 1 Alexandra Rissolini and the Hutori Socialists for a strong progressive voice in our Parliament. Last edited by RIS on Sat Jan 12, 2019 6:29 pm, edited 1 time in total.